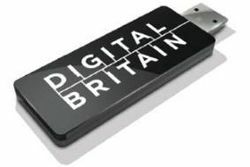 BT and Talk Talk continue fight against Digital Economy Act | What Hi-Fi? Internet service providers (ISPs) BT and Talk Talk are taking their fight against the Digital Economy Act to the court of appeal, after losing a high court review of the legislation last month. According to The Guardian, the two ISPs will make a second attempt to overturn the Government's plans to curb illegal filesharing. BT and TalkTalk believe that the act infringes internet users' "basic rights and freedoms", and did not receive sufficient parliamentary scrutiny when it was pushed through in the dying days of the previous Labour Government in April 2010. Government plans to send thousands of warning letters to alleged illegal downloaders – a measure introduced by the act – are set to begin in the first half of next year.